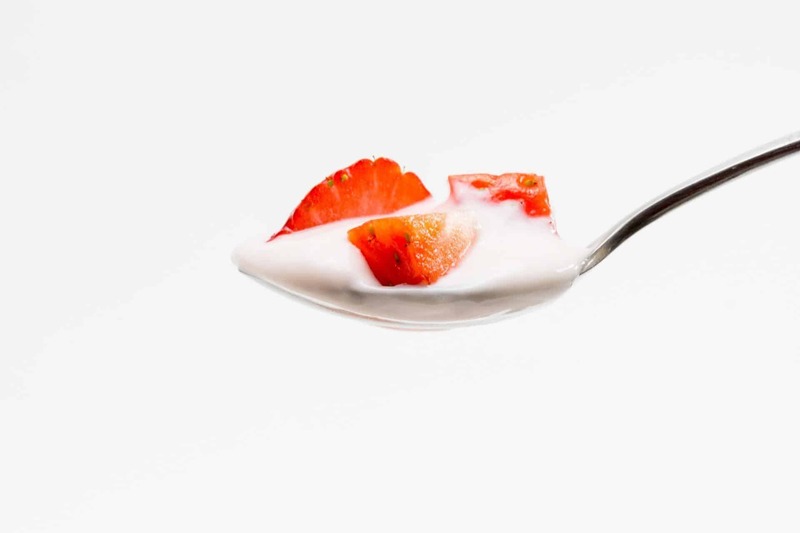 » Yogurt Basics 101: How Long Can Yogurt Sit Out? Yogurt is one thing that is a definite must-have in many households, especially for people who are weight and calorie conscious. The versatile, nutrient-rich superfood is a favorite in every household not only because of its health benefits but also because of its taste appeal and the various flavors. Today, yogurt’s popularity as a delicious and nutritional snack has boosted its sales to almost $7 Bn in the USA alone. Woah! You grab a pack of yogurt from the refrigerator to make a nice, delicious chicken marination for dinner at night. Post dinner, you forget to keep it back in the refrigerator. When you wake up in the morning, you realize the yogurt is lying on the kitchen top – lonely and forgotten (not chillin’ out, like it’s supposed to be). Do you wonder whether it’s safe to still eat it? Some food experts advocate that yogurt stays for long at room temperature for several hours. But is it true? You should definitely know the answer to it so that you don’t end up eating stale yogurt, which can be quite dangerous to your health. We all love eating yogurt, but many a time it completely misses our mind to return the remaining yogurt in the refrigerator after opening it. 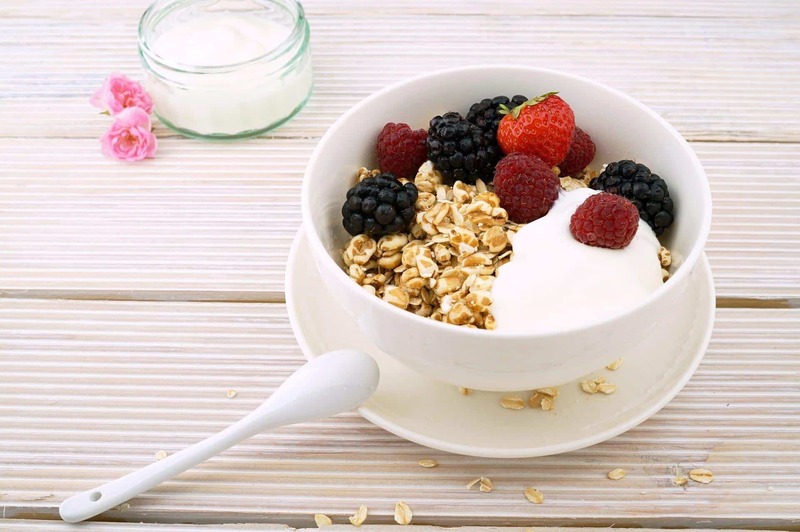 And since yogurt could pretty much be a part of any meal – an afternoon snack, chicken marination, post-workout meal, salad dressing, smoothies – it becomes even more important to learn how to store it, how soon to keep it back and how to prevent it from becoming bad. How long can yogurt sit out? Does yogurt go bad when kept out for long hours? How long can sealed yogurt be kept out? Let’s find out. How to Tell If Yogurt Is Spoiled? According to Foodsafety.gov, yogurt is not advisable to be consumed after it’s been kept out in room temperature for over two hours. Two hours! That’s a small window out there. This safety measure applies to all other dairy products like milk, cream, buttermilk and eggnogs. Now, this two-hour rule has its conditions too. The yogurt status doesn’t depend on only the time it has been kept out, but the temperature it has been exposed to, too. For average room temperature above 40 degrees Fahrenheit, yogurt is best discarded if kept out for more than two hours. Now, if the temperature is above 90 degrees Fahrenheit, you can just blindly reduce the time by half, i.e. the yogurt needs to be discarded after just one hour! Plus, why would you want to have warm yogurt anyway? Wouldn’t it be easier to make yogurt as per requirement every time, rather than worry about wasting store-bought yogurt? Some food for thought! Knowing how to identify food spoilage can reduce half the foodborne illnesses that affect people. Yes, it’s that crucial. Your senses are your best friend when it comes to identifying whether the yogurt has gone bad or not. Although not 100%, they can definitely shout danger when it looks like it. Most of all yogurts come with a slight liquid on top, which is called whey. It actually has a lot of protein and several nutrients which ideally should be mixed with yogurt before you consume it. The tell-tale signs of the yogurt going bad starts from this liquid whey. An increase in the amount of liquid or formation of a puddle (in case of yogurts that don’t have this liquid on the surface) and a curdling texture at the bottom (lump-like sediments) are the first signs. Let’s say you fail to recognize these signs and still manage to keep it in the fridge, there eventually will be the formation of mold or fungus on it, and then it’s really time to believe your eyes and throw it out – the smell won’t be tempting either! Discard it on time to avoid all the risks associated with consuming contaminated yogurt. Now, what’s contaminated yogurt? It’s nothing but all the live bacteria having a “party” (they multiply). These bacteria come from the added ingredients in yogurt while manufacturing – mold, slow-growing microorganisms, which are the primary cause of food poisoning. The risks of eating bad yogurt can be worse than any hangover you've had. It may cause severe illnesses like diarrhea, stomach cramps and vomiting. It’s more important to discard the stale yogurt and be protected from foodborne illnesses than to save a few dollars. You can instead start making homemade yogurt which will not have all the extra added ingredients that may be risky. 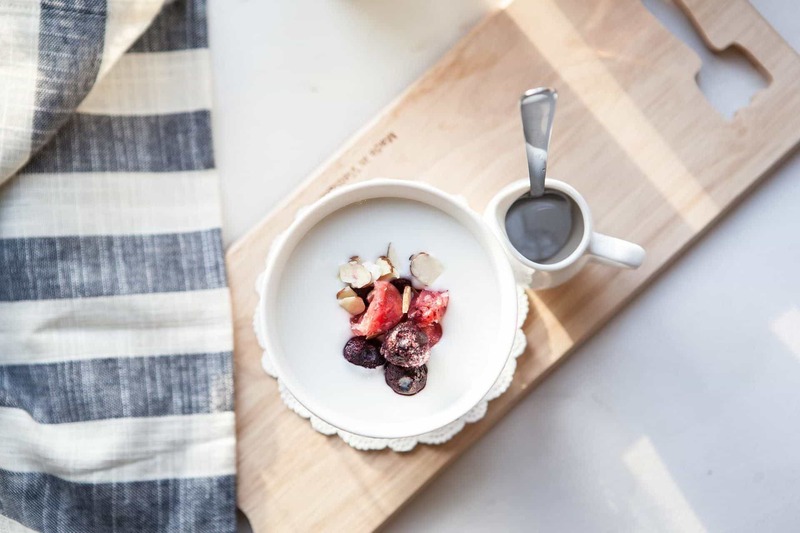 We’ll help you find the best yogurt maker and you can have a stress-less meal hereon! That gets us to the point of storing the yogurt. It should be stored in the fridge below 40 degrees Fahrenheit. When stored correctly, its shelf life comes up to almost a week or two weeks. Storing it longer than that, of course, is going to cause the growth of fungus and mold. If you leave it out by chance, then remember to keep it inside the fridge within at least two hours of taking it out. This will, however, shorten its shelf life. Take out portions you want to eat only. Don’t take out the whole container and forget to keep it back inside. When making your own yogurt at home, use pasteurized milk and refrigerate it til it reaches the required thickness. It will go on unspoiled for about two weeks. If stored in the freezer, it lasts for up to 1-2 months, although it may seem slightly discolored after thawing. Store your already opened yogurt by resealing the foil it came in, or keep it closed in a separate container. So, now you know the yogurt basics and you can prevent any mishaps which might occur due to consuming stale yogurt. Remember to keep the yogurt tightly closed inside the refrigerator and don’t keep it out for more than two hours. Else, you know you how it goes. The best advice is as per an old saying which goes – when in doubt, throw it out!